“Pieography” My life is like a pie! 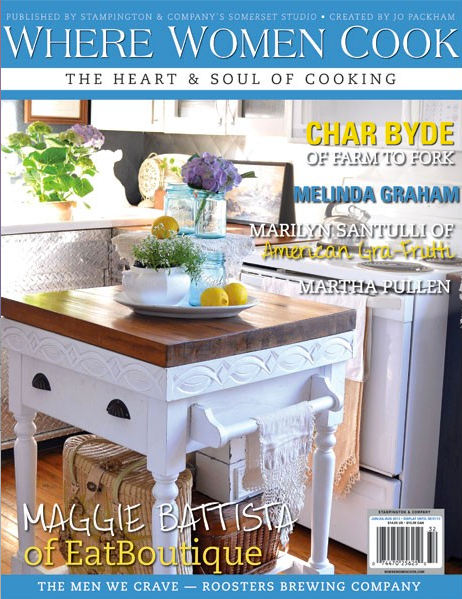 I’ve recently had an essay published in the Summer 2013 issue of Where Women Cook. 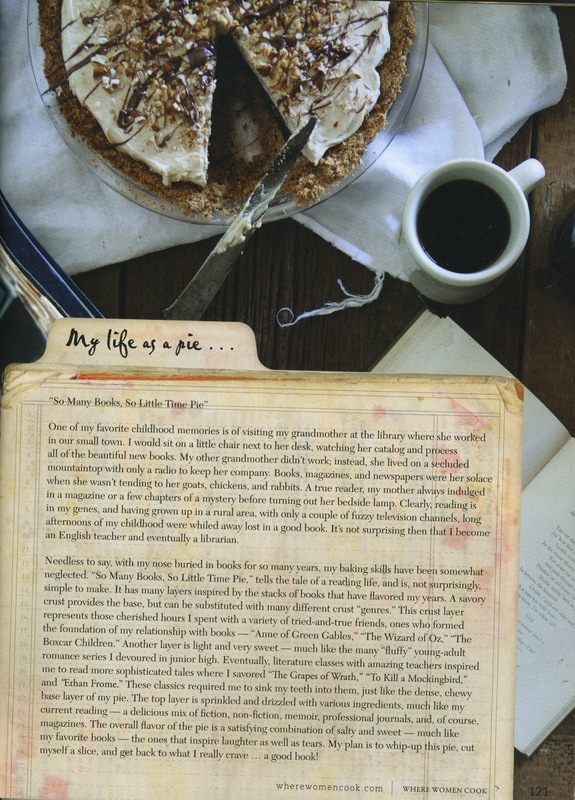 The challenge was to write a 500 word essay for “Pieography – If my life were a pie…” In addition to the essay, contributors were asked to share the recipe for the “life-pie.” I wrote about my life-long love affair with books and reading, and how it is resembles a yummy brownie-peanut butter pie. I call it: “So Many Books, So Little Time, Pie.” You should definitely buy this issue just to get my recipe! It’s delicious and simple! 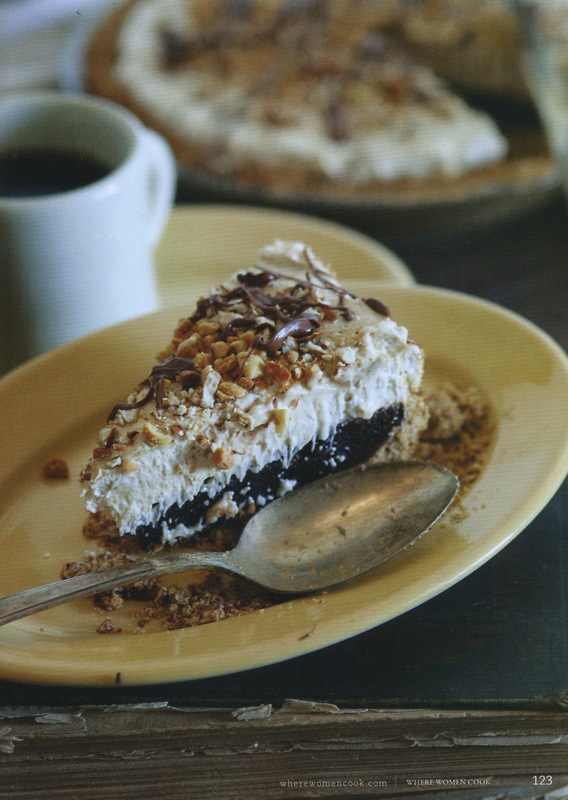 You can make this pie to enjoy while you kick your feet up to read a good book! This short essay was so fun to write, and I thank Jo Packham and the editors of WWC for the opportunity to share my life and my pie. If you don’t think your life resembles a pie, think again. 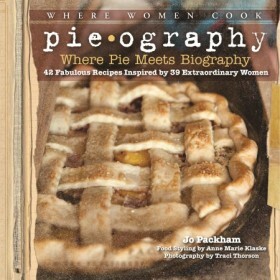 The 42 recipes and essays shared in the book Pieography: Where Pie Meets Biography by Jo Packham will have you thinking otherwise! Seriously, this book will introduce you to Alice Currah’s Kahlua Chocolate Pecan PIe, and Michelle Muska’s Midsummer Night’s Dream Pie with Rhubarb, Peaches and Raspberries. Is your mouth watering yet?! Happy baking and happy reading!